Whenever possible, I like to give my kids treats that are made with real fruit! When I am feeling lazy, I just pour pure fruit juice in popsicle molds. But when I have a few extra minutes, I like to puree fresh fruit and some honey or sugar and create luscious homemade popsicles. I puree the raspberries in a food processor or blender with the sugar and water. 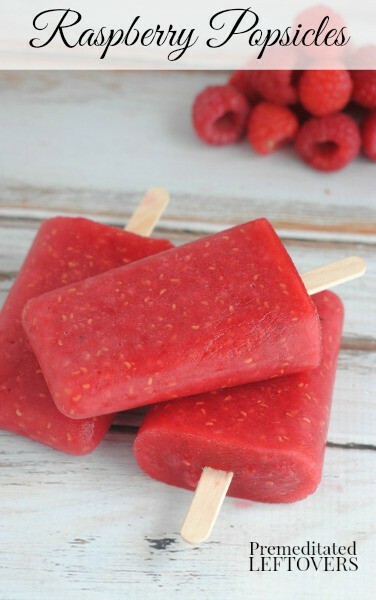 If your kids do not like having any of the seeds in their popsicles, you can puree the raspberries and then strain them through a sieve to create very smooth popsicles. 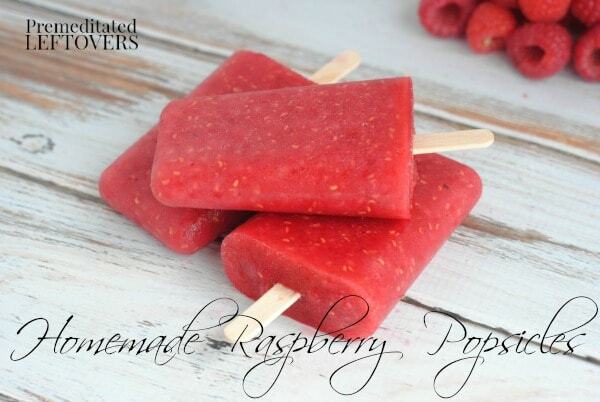 In addition to raspberries, sugar, and water, you will need a set of 4 – 6 count Popsicle molds and popsicle sticks. You can find a set of popsicle molds at Dollar Tree for only $1.00, but this is an item that I prefer to splurge on. I make my popsicles in either stainless steel popsicle molds or silicone popsicle molds. If you prefer using popsicle sticks as shown in the photos, cover your popsicle mold with plastic wrap and make a small slit directly in the center with a knife and put a popsicle into each mold and freeze. Puree the raspberries , sweetener and water in a food processor or blender for about 30 seconds or until well-blended. Pour about a half cup of the raspberry mixture into each popsicle mold (depending on your molds they may hold a little bit more or a little bit less). 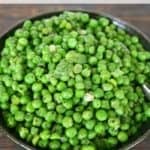 Cover the molds with the lids and freeze 3-4 hours. 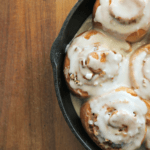 I’m allergic to darn near everything which severely limits my dessert options, so you can’t imagine how overjoyed I get when I find an allergy safe recipe! This looks so great! These look fantastic and so refreshing, i bet my kids would love them! These popsicles are perfect!! 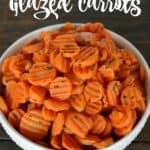 I love how easy they are to make, and I love that they’re perfect summer dessert/snack to feed my family! Pinned!